Join our global community where thousands of industry professionals and recognised experts stay connected. Becoming a member, student or client of IoSCM is a great way to benefit from our extensive experience in training, development and the functions across the supply chain. Working in partnership with IoSCM can provide you with the perfect platform for career advancement through continuous professional development, enhanced learning and global networking and can provide your organisation with the support you need to create new revenue streams and establish firm links with leading providers of supply chain services. With access to a worldwide network, being an IoSCM member allows you to build valuable relationships, share experiences and expertise with likeminded professionals on a global scale, and achieve international recognition within the industry. Our membership packages are designed to meet the needs and expectations of individuals across the industry. From novice to CEO, each level of membership will enable you to take advantage of the resources, support and guidance appropriate to your own, or your companies, development requirements. Whether you’re a learner, graded or a corporate member the IoSCM hub has been created to enhance your professional membership with IoSCM. CORPORATE MEMBERSHIP CERTIFICATION AND BRANDING – Proudly display your IoSCM Corporate Membership Certificate, along with an Institute branded email banner that you can incorporate into your organisations email signatures. MEMBERSHIP FOR YOUR TEAM – Along with Corporate Membership, your organisation will receive 5 learner or graded memberships for your team. Have others you’d like to be part of the Institute? Increase your Corporate Grade and receive additional memberships to utilise. COMPLIMENTARY ADVERTISING IN SUPPLY CHAIN OUTLOOK MAGAZINE – Work with our creative team to design the perfect article or advert for your business and reach a global audience of over 60,000 supply chain professionals and their organisation. RECRUITMENT AREA – Access resources designed to support you with finding and recruiting the right candidates. Advertise your vacancies to tailored audiences of industry professionals at all stages of their careers. ESTABLISH NEW PROFITABLE BUSINESS RELATIONSHIPS – Connect with companies outside your usual network to showcase your products and services. EXCLUSIVE DISCOUNTS – Upon registration for your membership you will receive your exclusive Corporate Discounts for you to utilise as and when you need to throughout your membership. TAKE PART IN THE IoSCM AWARDS – The IoSCM Awards are the perfect opportunity for you to recognise the achievements of your employees and wider business community. Nominate as many individuals or organisations as you choose into the Awards for them to receive global acknowledgment of their achievements in the supply chain. CONNECT TO THE LEADING PROVIDER SPECIALISING IN HR AND HEALTH AND SAFETY REGULATIONS – Through your corporate membership you can utilise the support tool and guidance provided by our HR and Health and Safety partner to ensure compliance within your organisation. TAILORED INDUSTRY EXPERT SUPPORT – Work directly with leading experts from across the Supply Chain and receive impartial, honest advice and feedback on your business processes, objectives and future plans. A Corporate Membership can save you over £3,000 in employee training and membership fees. As the leading Institute, within the Supply Chain industry, we are passionate about developing close working relationships with all of our clients and Corporate Members. 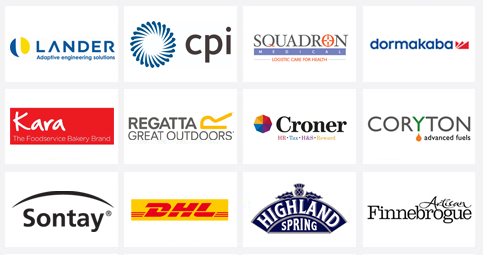 Through these partnerships, we can recognise the innovations taking place and contributions being made to the wider industry by awarding these outstanding organisations with Platinum Level Corporate Membership. This is the highest grade of achievement, and a coveted status to hold throughout the global supply chain. From taking your first steps into the industry, through to being a leading specialist we have a Graded Membership that will enable you to demonstrate your professional achievements. Along with exclusive access to The IoSCM Hub, you’ll receive a full range of added value benefits designed to support your professional and personal development. Learner Membership is mandatory throughout the duration of your studies. In addition to access to the IoSCM Learning Platform – where you’ll find your learning material and exclusive access to The IoSCM Hub, you’ll receive a full range of added value benefits designed to support your professional and personal development. All students are automatically awarded a Learner Membership during their study period. Upon completion, or for those wishing to just become a member, your membership grade is dependent upon your current professional ranking. You will be assessed by our expert team upon enquiry. An IoSCM Membership is mandatory in order to study a qualification. In addition to the cost of your course, there is an annual fee of £174.00 that will cover your membership fees. All students are awarded the Learner status for the duration of their studies. Your membership grade will be determined by assessing your current job role / level of study / previous qualifications / experience. For a free consultation and further guidance, speak to a member of the IoSCM membership team today on 0800 1422 522 or email us at membership@ioscm.com. Members are able to use the post-nominal initials that are associated with their assigned membership status as soon as the annual fee has been paid and accepted. You’ll receive certification of your membership and grade soon after payment. Join the thousands of industry professionals across the globe; become a member of IoSCM today. Call us on 0800 1422 522. For proven industry professionals across numerous sectors within the Supply Chain – with an established career, and outstanding achievements linked to the progression and improvement of the wider Supply Chain industry. Senior level within the Supply Chain profession. Vastly experienced within the industry, with Strategic involvement or qualified to Masters Degree Level 7, or equivalent. For experienced professionals within the Supply Chain, working at Operations Management level or qualified to Bachelors Degree Level 6, or equivalent. For those who are able to evidence experience and understanding within the Supply Chain, showing practical experience in applying their skills and knowledge through academic or working roles. For those new to the supply chain industry with limited experience and understanding. A great way to put you on the map. Mandatory for all current students. Please note: All membership payments are non-refundable.